Our first few Reading and Writing Death workshops have been a great success. They have challenged us to consider how memoirs from the dying can be such valuable resources for the living; how experimental essays can be used to dig into such a difficult topic; and we’ve discussed memory, experience, and empathy via anthropological texts on death and dying. 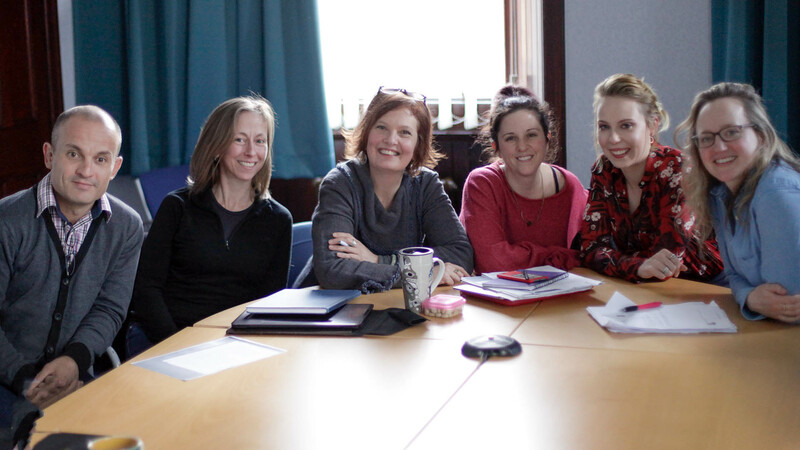 Dr. Elizabeth Reeder, Dr. Naomi Richards, and myself rotate in leading the discussions, as part of the series of Reading and Writing Death workshops at the University of Glasgow. Our first session was led by Dr. Reeder, Lecturer in Creative Writing. We focused on two memoirs, When Breath Becomes Air by Paul Kalanithi and In Gratitude by Jenny Diski. Both authors were dying of cancer and their books could be considered to fall into the genre of ’cancer pathography’ (Armstrong-Coster 2005). We reviewed the similarities and differences between the books: Diski, a writer, and Kalanithi, a medical doctor; Diski in her 60s and Kalanithi in his 30s; how Diski’s approach to the topic appeared to be more stream of consciousness and focused on the life she had lived, including her connection to another famous writer, Doris Lessing, whereas Kalanithi being much younger and at the beginning of his career seemed to be grappling with a changed identity given the realization that he could no longer be a surgeon. I facilitated the second workshop, where we built on our reading, writing, and discussion from the first session by reviewing two experimental essays, A Primer for the Punctuation of Heart Disease by Jonathan Safran Foer and Death in the Age of Digital Proliferation by Christopher Sorrentino. The essays explore grief, family, and communication within the purview of death and dying, while providing ideas on how to write beyond traditional styles, which can be an invaluable tool for tackling such a difficult and layered subject. Most recently, Dr. Richards led us as we reviewed Death and Memory: From Santa María del Monte to Miami Beach by Ruth Behar and Grief and a Headhunter’s Rage by Renato Rosaldo. These articles, both written by prominent anthropologists, gave us an interdisciplinary point of view, and opened up discussion on reflexive writing and whether experience was required for understanding another’s situation. Our diverse group has included post-graduate students and lecturers from creative writing, anthropology, English literature, and medical humanities, which has provided for engaging discussions. We’ve also considered aspects of craft including structural elements, the style and language used, and the ways each author tackles the topic of dying, examining how our disciplinary and writing practices impact what we take from each work. 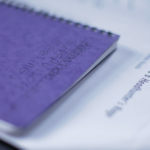 The discussions on the readings have been interwoven with writing exercises that allow us to explore ideas and use writing as a way to process the texts and subjects. Serious discussion blends with a passion for the topic, occasional humor, and some seriously fun writing. If you would like to run similar workshops in your area or have any questions, please feel free to contact us. Armstrong-Coster, Angela. (2005) In Morte Media Jubilate : A study of cancer-related pathographies, Mortality, 10:2, 97-112. Behar, Ruth. (1991) Death and Memory: From Santa María del Monte to Miami Beach, Cultural Anthropology, Wiley 6:2, 364 – 384. Diski, Jenny. (2016) In Gratitude. Bloomsbury. Kalanithi, Paul. (2016) When Breath Becomes Air. Random House. Rosaldo, Renato. (1993 ) “Grief and a Headhunter’s Rage,” Culture and Truth: The Remaking of Social Analysis, Beacon Press. Safran Foer, Jonathan. (2011) “A Primer for the Punctuation of Heart Disease.” The Inevitable: Contemporary Writers Confront Death, edited by David Shields and Bradford Morrow, W.W. Norton & Co, Inc., 111 – 120. Sorrentino, Christopher. (2011) “Death in the Age of Digital Proliferation and Other Considerations,” The Inevitable: Contemporary Writers Confront Death, edited by David Shields and Bradford Morrow, W.W. Norton & Co, Inc., 155 – 169.